In just five years Factor 55 has helped revolutionize the self-recovery winching market by intelligently promoting Closed System Winching™ and rigging techniques better than anyone had before. They have done this by manufacturing fantastic products to facilitate safer recoveries, with education, and documenting scientific failure testing. Everything they make is designed by their small team in Boise, Idaho, and made in the USA. 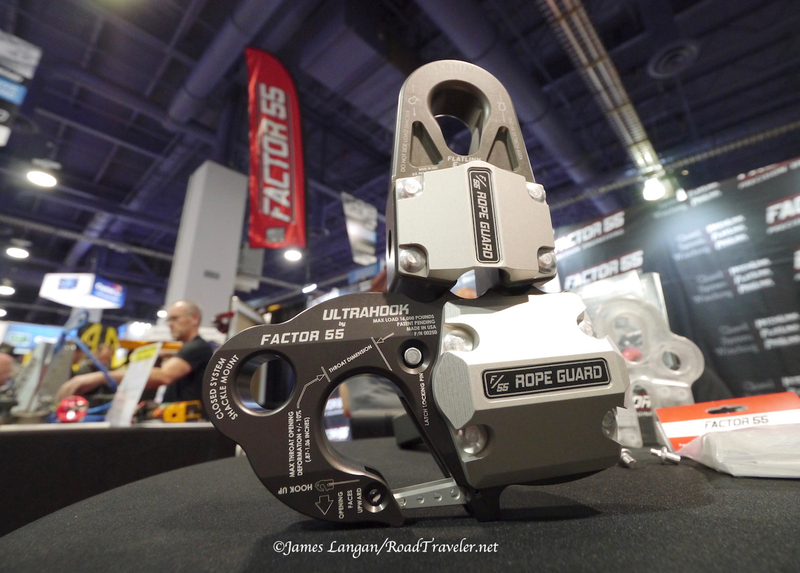 At the 2017 SEMA Show Factor 55 introduced their Rope Guard, a simple yet ingenious item that can be added to existing FlatLink or UltraHook products. It protects the exposed rope at the end of a thimble on the front of a winch. My 2014 Ram runs an UltraHook, so an upgrade may be on the horizon. 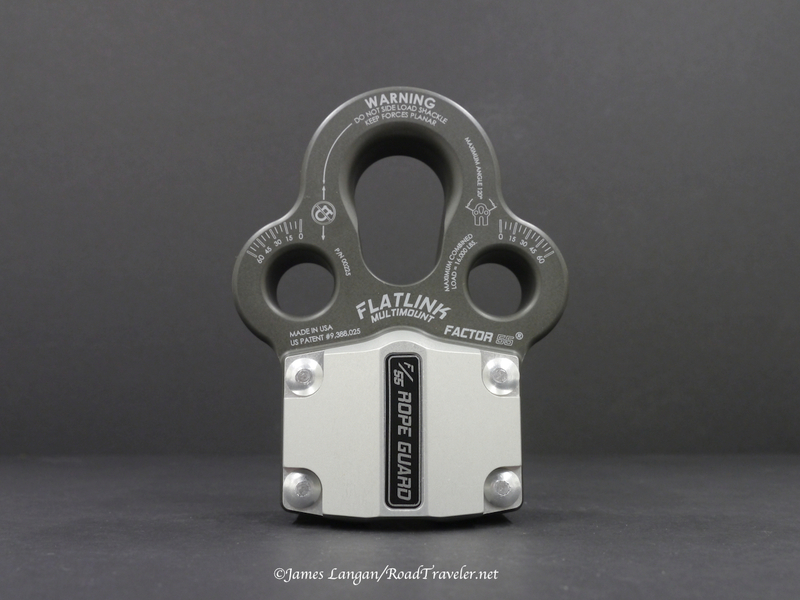 The new FlatLink MultiMount was also introduced at SEMA. It allows one to pull/add force to the end of a winch line from more than one direction. I liked the FlatLink MultiMount so much that I ordered one for my 2017 Pack Mule flatbed project as soon as I got home…and I didn’t even have a winch or bumper for that truck yet.